Sometimes the best fishing is where it’s hard to go. 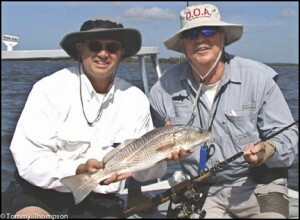 That’s especially true of Horseshoe Cove, south of the Horseshoe Beach community in Dixie County. And when the day starts out cold and warms through the early afternoon, it’s worth a trip to Horseshoe Cove! Horseshoe Cove Bars, viewed from the west. 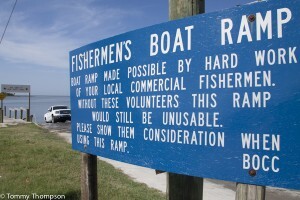 Whether you’re launching your boat at Horseshoe Beach (there are two nice boat ramps there) or at secluded Shired Island (between Suwannee and Horseshoe Beach), it can be a tricky voyage to the creek mouths and shell bars that litter Horseshoe Cove. My recommendation is that if you plan to head into these backwaters that you try to go when the tide is about halfway “full” and leave when it’s halfway “empty”, according to the local tide tables. That way, you’re less likely to get stranded or hit bottom. And it goes without saying that you shouldn’t run here on plane, or even at medium speed, until you’ve been there a few times and have marked obstructions on your GPS! While there are some tried-and-true courses from Shired Island and Horseshoe Beach, I’d recommend you first try Horseshoe Beach. If you run out the channel, through the spoil banks, to marker #10, and then slowly head due east (90-degrees magnetic), you’ll find that’s a pretty good course to the mouth of Butler Creek, a good place to start looking for reds and big seatrout. 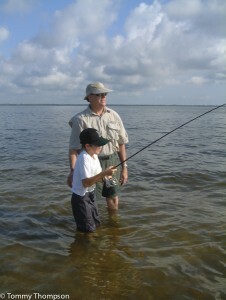 Techniques here vary, but a favorite of local anglers is to wade and toss slow-sinking lures off the deep side of the many shell bars. Favorite lures are the D.O.A. TerrorEyz and 3-inch shrimp. 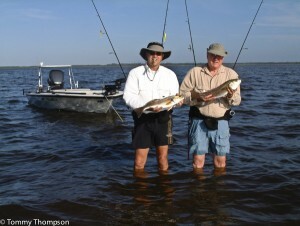 I’ve found that the TerrorEyz catches mostly redfish here–and the shrimp seems to attract more seatrout. Bounce the TerrorEyz along the shelly bottom and slowly retrieve the shrimp, midway in the water column. And depending on whether the outflow of the nearby Suwannee River has the water dark or clear, consider changing lure colors to suit the clarity. 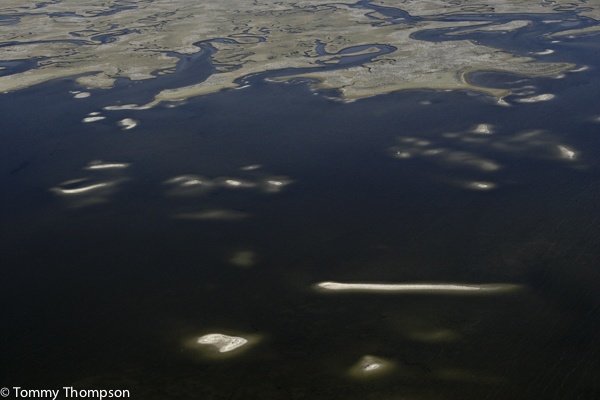 Clear water, light colors; dark water, dark colors! If you’re heading to Dixie County, and specifically Horseshoe Beach or Shired Island, and don’t want to camp (at Shired’s County Park or the Horseshoe Boat Ramp Park), rent a condo for the night or an extended stay from Jimmy Butler at Compass Realty in Horseshoe Beach. All have waterfront views and some even come with boat docks on the canals.